Situated on the busy Cayton Low Road, Scarborough test centre shares the same space as the Goods Vehicle Testing Station. Nearby businesses also include Secure & Confidential Documents, Sik Slk and Schneider Electric. As a go-to option for most—if not all—learners in Scarborough, it's safe to say that this test centre has plenty of visitors each year. If you're one of them, read on for directions, pass rates, test routes and much more about Scarborough. Scarborough test centre is around 15 minutes from the centre of Scarborough, next to Eastfield. With the centre's vicinity to the bustling A64, it's a great and accessible option for any learner located in or around the Scarborough area. To get there hassle-free, simply use these directions. Please note that the centre does not have parking facilities, so your instructor will have to tell you where to park instead. Scarborough test centre is perfectly located to ensure it offers the most challenging and varied road conditions that the Scarborough area has to offer. From busy A roads like the A64 to the tricky roundabout off Station Road, examiners will take advantage of it all to put candidates through their paces on the practical test. Want to know more about Scarborough in general? Check out the resources we've compiled below. Test routes are no longer published by the DVSA, so you can't drive on the exact Scarborough test route that you'll be taken on during you test. 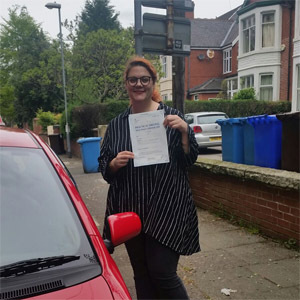 You can, however, get a rough idea by watching videos of Scarborough test routes on YouTube or by downloading our sample Scarborough driving test routes. Your instructor will also prepare you for your test by taking you on the roads most likely to feature on your practical—meaning, you shouldn't be too surprised by what comes your way on your test. Learners at Scarborough test centre have a relatively good chance of passing, with pass rates higher than the national average. This always tends to be the case for test centres in more rural areas. If you’re not won over by numbers, remember that it’s all ultimately down to personal ability and effort. What If I Can't Go To Scarborough? There’s a wide selection of practical test centres to go to in North Yorkshire. If you’re not able to go to Scarborough test centre, the nearest alternate centres are Whitby and Malton. As with the theory test, you find out your results for the practical as soon as you’ve finished. The examiner will hand you a feedback sheet and discuss the faults you made on your test (if any). If you do pass, you'll also get a test pass certificate and have the option to send off for your new licence. It’s the million dollar question—what if I fail my practical test? It’s quite simple really. If you fail, you just need to learn from your mistakes and take it again. The feedback given to you by your examiner should be useful in helping you iron out any creases in your driving. 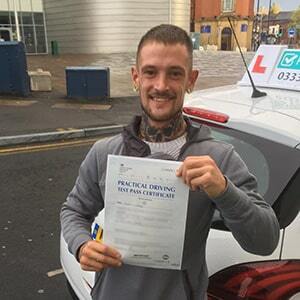 PassMeFast can get you booked back in with a speedy fast-track test and offer further tuition, if need be. To get the ball rolling, you can contact us via our website or give us a call on 0333 123 4949. Ditch the traditional way of learning to drive and embrace the new age wonder that is crash courses. 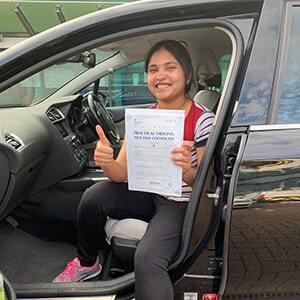 Instead of spending months learning to drive, you can get on the road in a matter of days or weeks with PassMefast’s intensive and semi-intensive courses. Led by our DVSA-approved instructors, you’ll become a safe and confident driver in no time at all. The road to driving doesn’t have to be long with PassMeFast. Take a look at our course prices page and get in touch today on 0333 123 4949 to find out more or book a course online to take one step closer to getting on the road.